Three years ago, Matthew Rooda walked into the barn of a massive pig farm where he worked to find eight piglets crushed to death by the sow. It’s a baffling behavior that costs the pork industry more than $6 billion annually. 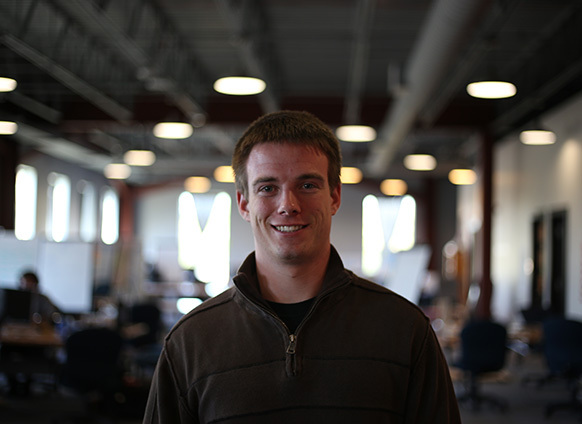 Rooda, now a recent graduate of the University of Iowa, refused to accept this as a “sunk cost,” so he created a wearable device that, in the simplest terms, combines the technology of a fitness tracker and a shock collar, alerting both farm staff and the sow when a piglet is being crushed. 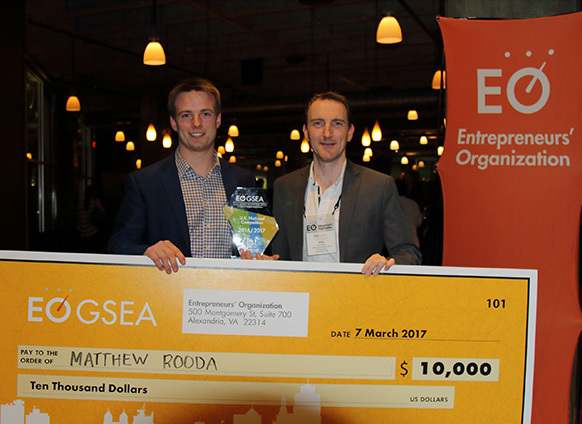 Rooda won the U.S. National Competition of the Global Student Entrepreneur Awards in March, an event hosted by the Entrepreneurs’ Organization. He also represented the U.S. at the GSEA in Frankfurt, Germany, in April. The international competition was ultimately won by Julián Ríos Cantú of Mexico. Rooda’s company, SwineTech, has raised more than $1 million in sales and competition winnings, and plans to continue vigorous marketing now that he’s no longer balancing the roles of full-time CEO and student.